Born June 8, 1939 in Bronx, NY. The son of Hall of Fame publicist Murray Goodman, his youth was spent in the training camps of such great fighters as Joe Louis, Marcel Cerdan, Sugar Ray Robinson, Kid Gavilan, and Rocky Marciano. He began working in boxing assisting his father with publicity for the 1952 Gavilan vs. Turner welterweight title bout. After two years at the University of Miami, he enlisted in the U.S. Coast Guard and was honorably discharged after four years of active duty. Out of the service, Bob and his father formed their own advertising firm, Murray Goodman Associates on Madison Avenue and handled public relations for major bouts involving Ken Norton, Bob Foster, Joe Frazier and Muhammad Ali and big events for Top Rank and Don King Productions (DKP). 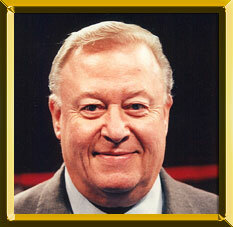 Goodman served as Director of Boxing and Matchmaking for DKP from the mid-1970s until 1985. That year he took over as vice-president and matchmaker at Madison Square Garden Boxing, developing such champions as Buddy McGirt, Kevin Kelley, Junior Jones and Tracy Patterson. Following his tenure at the Garden, Goodman started his own company, Garden State Boxing. In 1996 he returned to DKP as Vice-President of Boxing Operations and Public Relations. In 1979 he was awarded the BWAA's James J. Walker Award for Long and Meritorious Service to Boxing.